Payton pitched in eight points (4-11 FG), 10 assists, six rebounds, and three steals in 34 minutes during Friday's 130-116 win over the Suns. Payton earned a team high minute total and contributed another extremely well-rounded stat line. He has accumulated 42 assists (versus 14 turnovers) across the last four games while earning at least 30 minutes in each contest during this recent stretch. 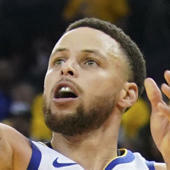 The only blemish has been his field goal percentage, as he has made less than 40 percent of his shots in three of the last four games.